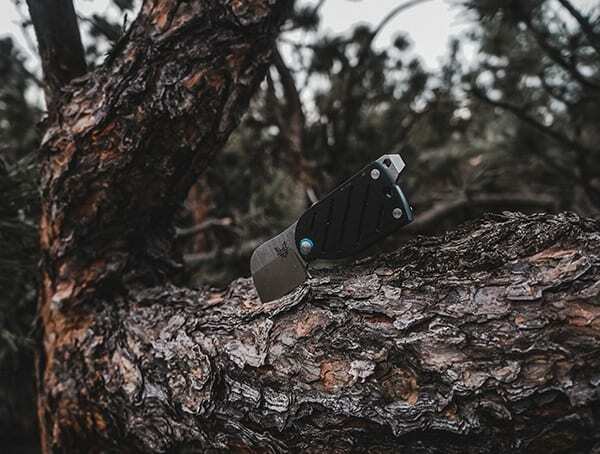 Thanks to 30 years of employee dedication and a nonstop demand for excellence in all areas, the founding de Asis family has committed itself to providing only the best in knife production and customer care. 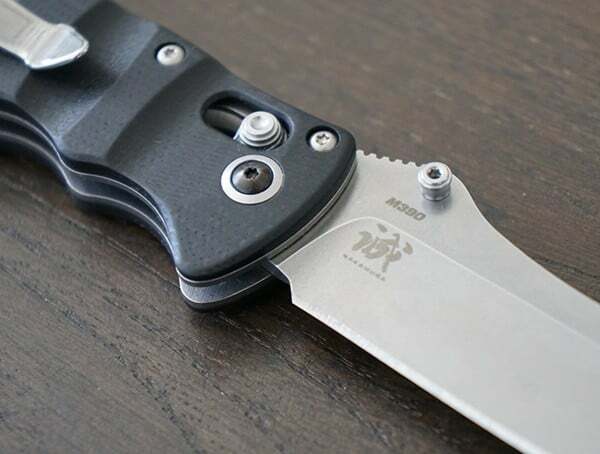 Beginning with Les de Asis’s desire for a knife that reflected the needs of the modern man and provided a superior alternative to the cheap butterfly knives being produced at the time, de Asis created the first ever pre-Benchmade Bali-Song prototype with the help of Victor Anselmo. 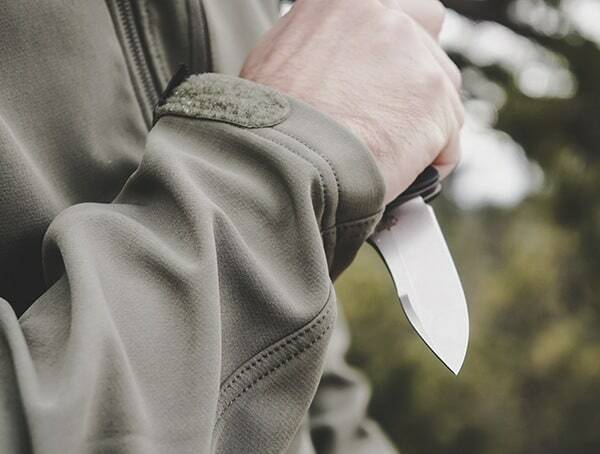 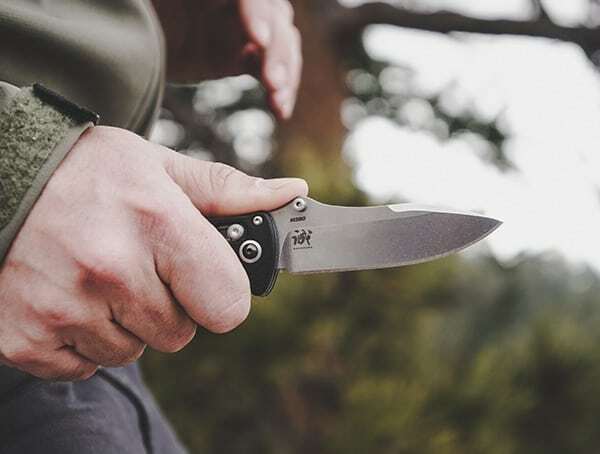 What began as a garage partnership and production goal of 100 soon became a widely recognized knife brand, with an output to leave other knife manufacturers in the dust. 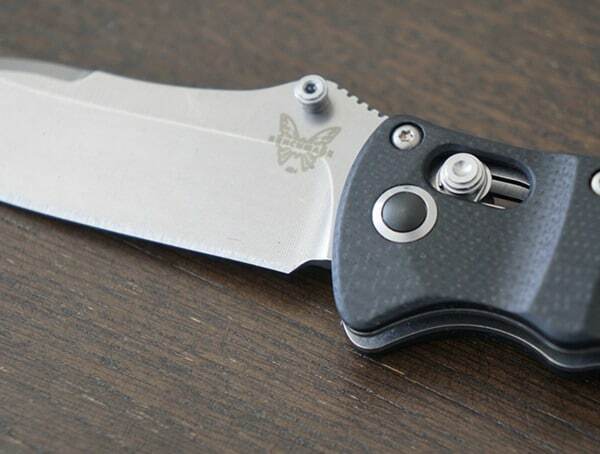 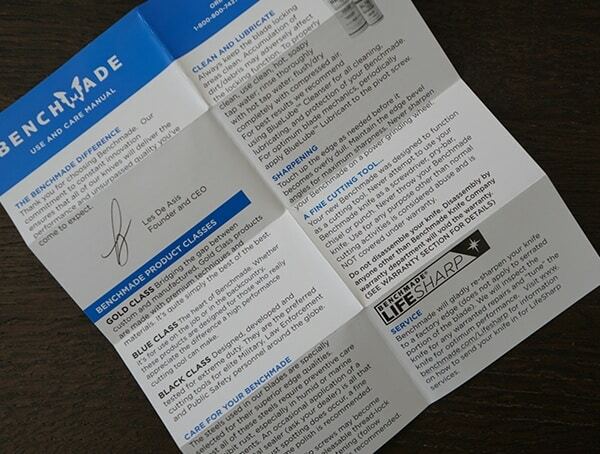 The custom Bali-Song would mark the beginning of the “Benchmade” standard of production; instead of “handmade” and “factory made,” there was only the “Benchmade” way. 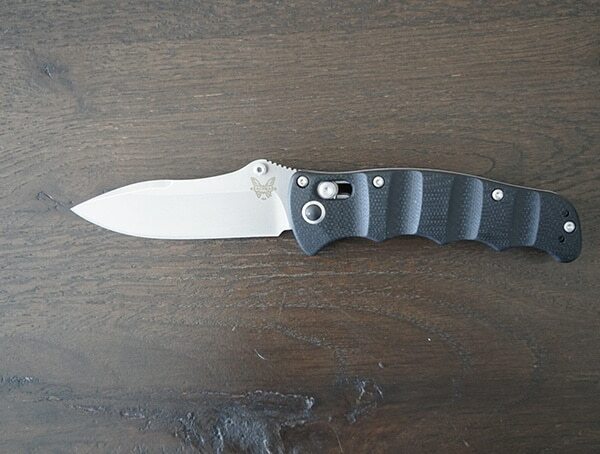 Procuring knives for only the most discerning of customers, including hunters and special operations forces, Benchmade has built a rock solid name for itself by selecting only the finest, premium blade steels, and pairing them with aerospace-grade handle components, resulting in a tool that will stand the testament of both time and mission. 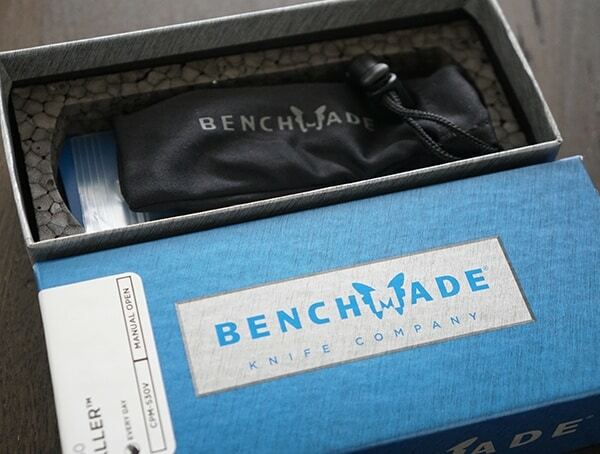 Benchmade insists that “hard-working knives are made by hard-working people,” and the company has not wavered in this mission since the earliest days of its inception. 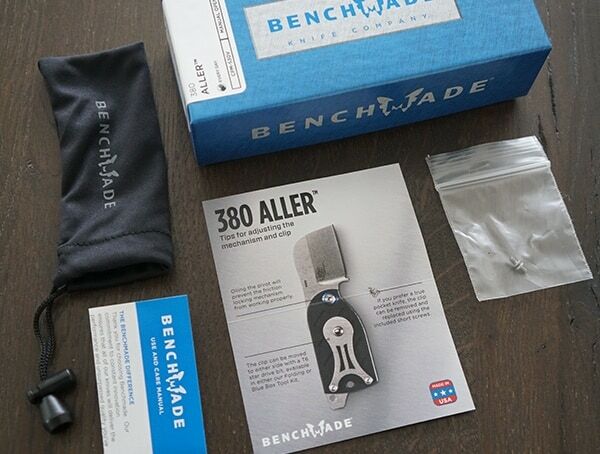 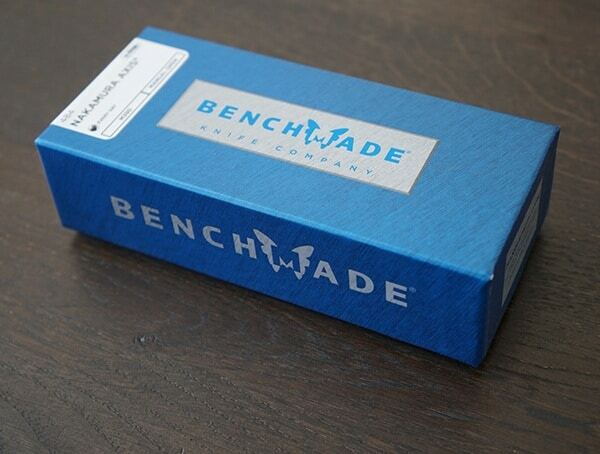 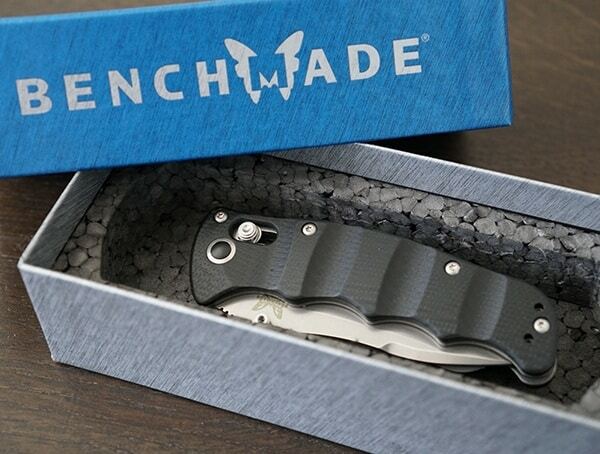 Benchmade has additionally won a number of awards over the years, including the Excellence in Family Business award and Top EMS Innovation award, Benchmade is a brand with a legacy that speaks for itself. 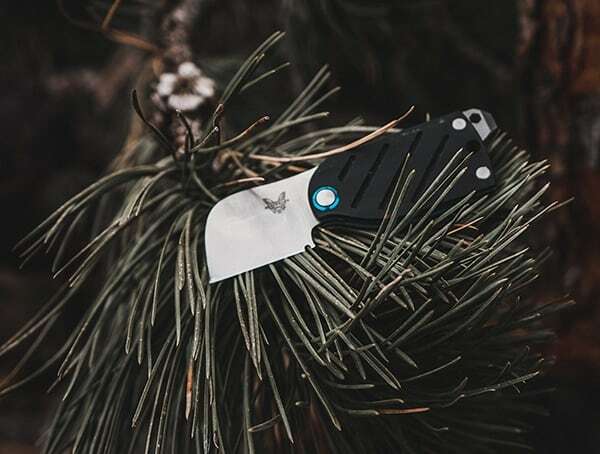 For over 30 years the name Benchmade has evoked the superior standards and expert craftsmanship of its blades; there may be handmade or factory-made, but for the Asis family there is only Benchmade. 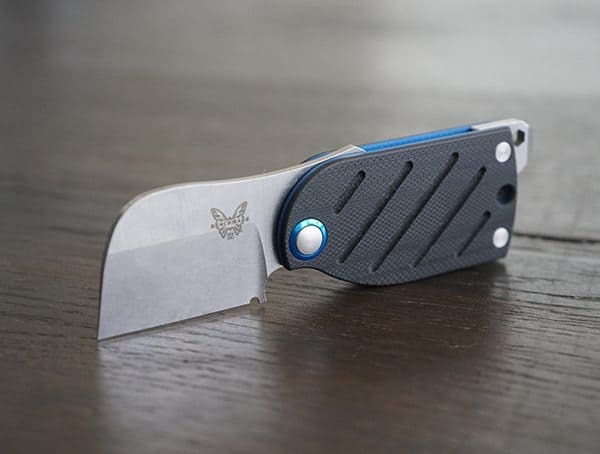 Producers of the finest blades on the market, it was only a matter of time before the Nakamura knife would raise the already prestigious Benchmade bar. 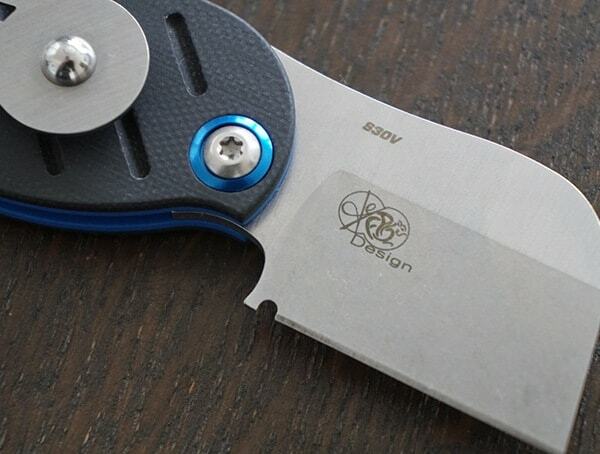 The first Nakamura AXIS is a miraculous meeting of faultless detail and unmatchable function. 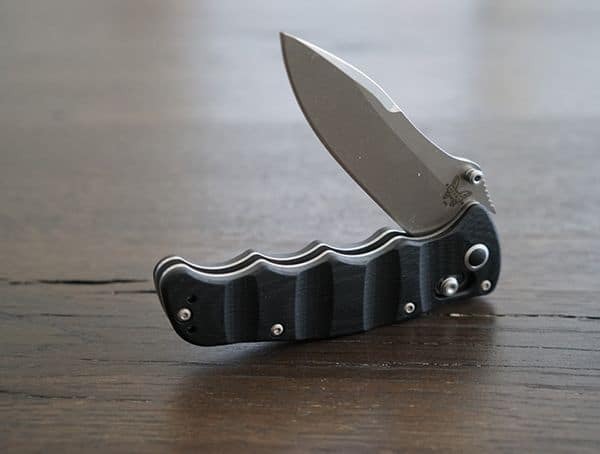 Featuring a stunning USA-made body with sleek black satin finish and Austrian blade steel, the Nakamura is ideal for every day use. 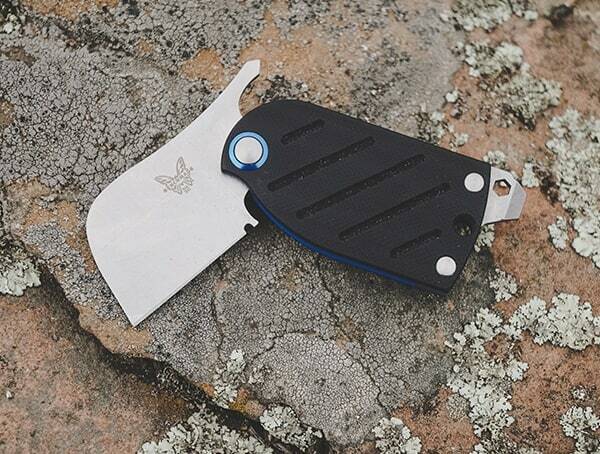 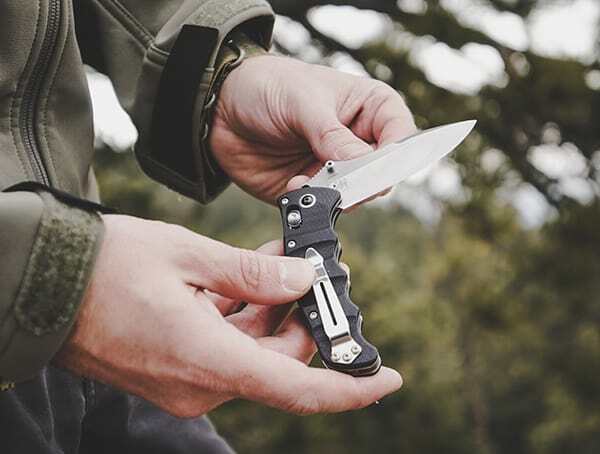 Slim and lightweight, the Benchmade Nakamura can be easily carried in a pocket, and is built to stand up to whatever task you employ. 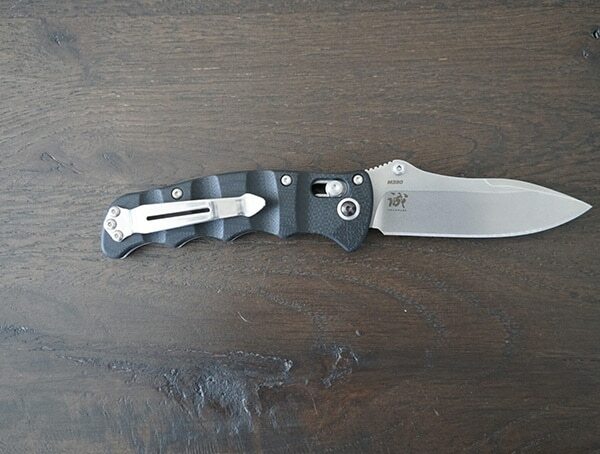 With a 3.08″ blade length, 3.24 oz. 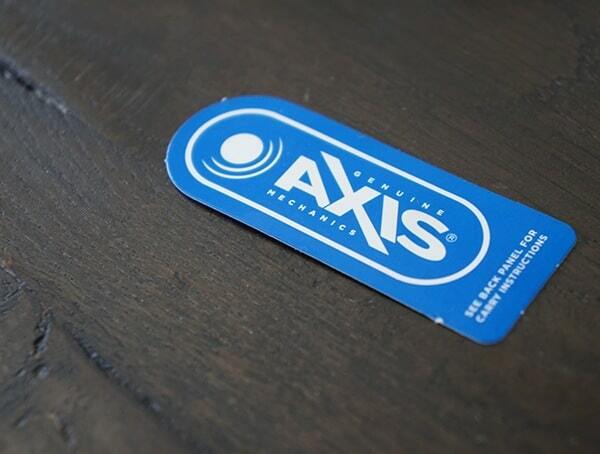 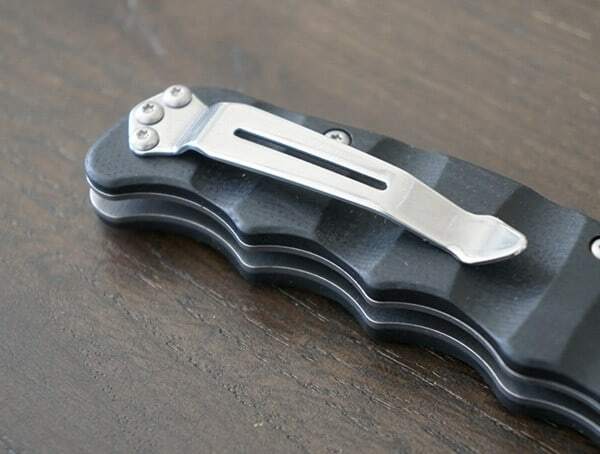 weight, and ease to grab 0.57″ handle thickness, the 484 version from the Benchamde Nakamura AXIS family combines everything I personally want and need in one rock-solid package. 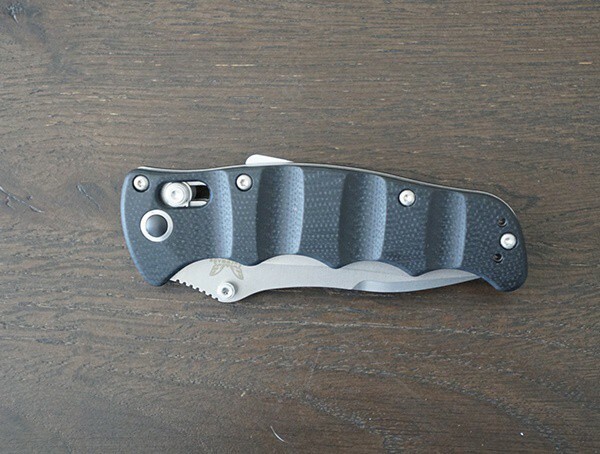 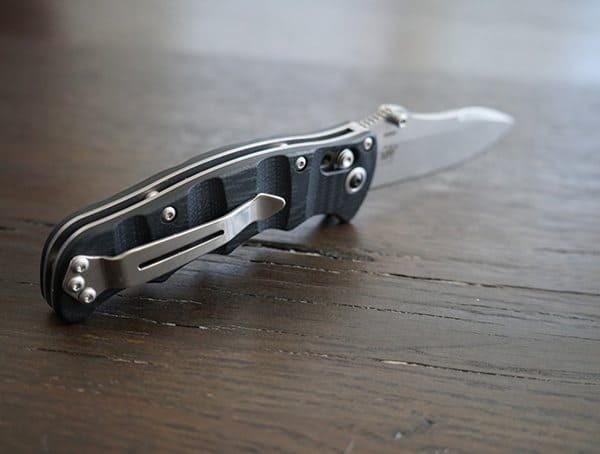 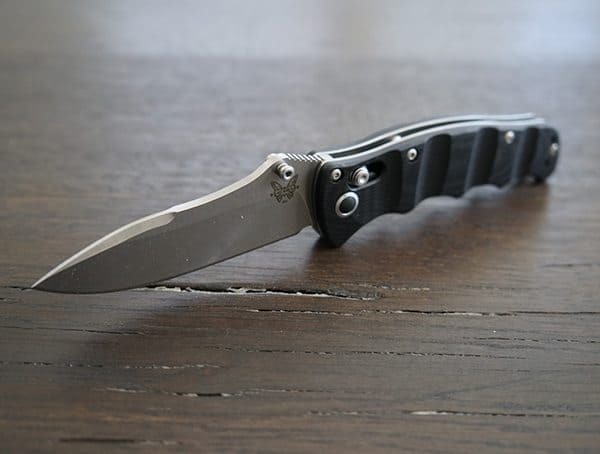 Factor in the hard CPM-S90V blade steel, buttery smooth manual-opening action, and black contoured G10 grip (with contoured carbon fiber available) and my pockets couldn’t be happier to carry such a well-rounded piece of gear. 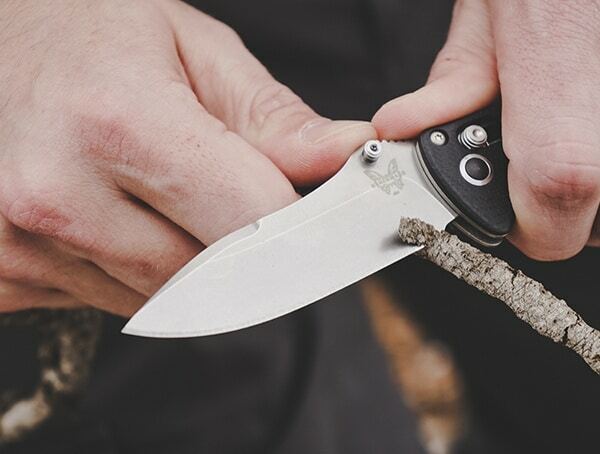 Don’t let the compact size fool you; the Benchmade Aller knife is packed with an incredible amount of functionality. 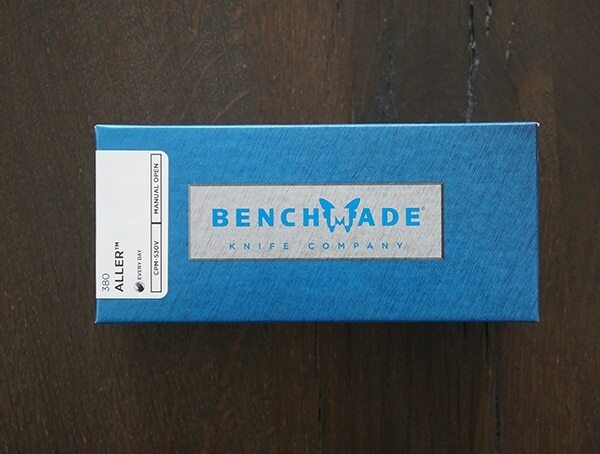 Made in collaboration with Patrick Famin and Eric Demongivert, two French knife makers, the Benchmade Aller features six tools in one. 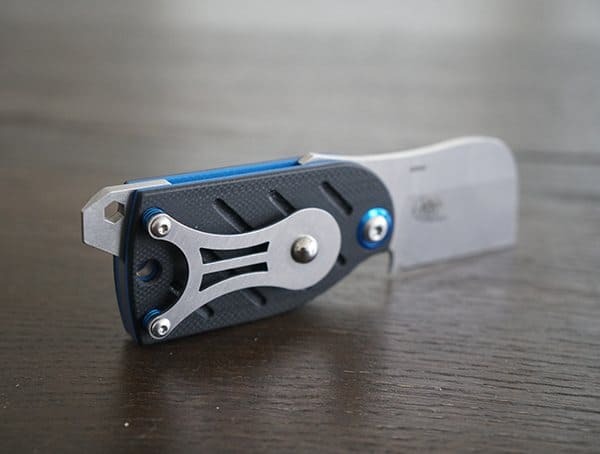 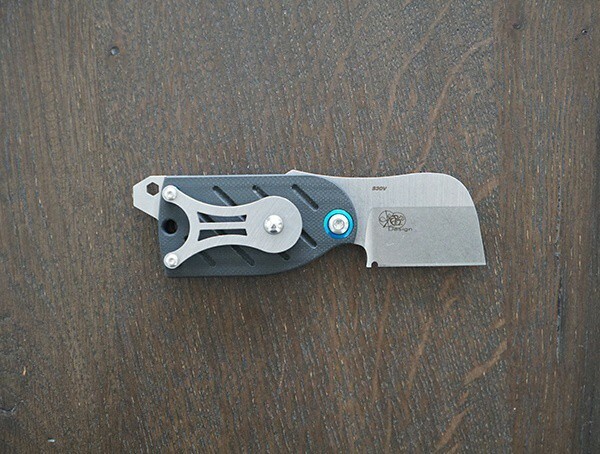 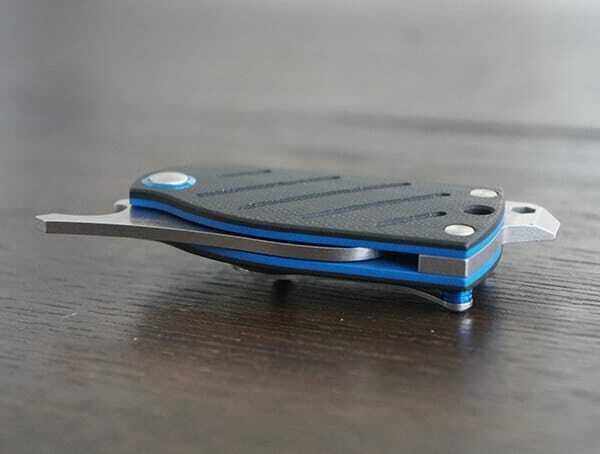 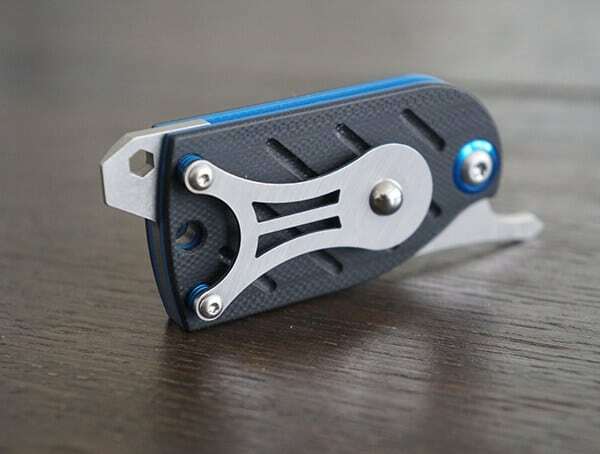 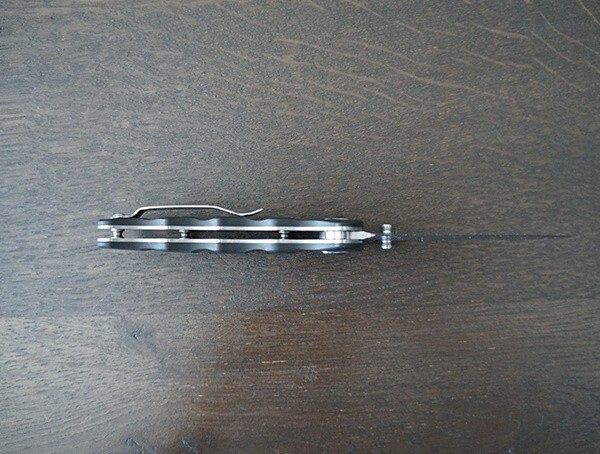 Surprisingly, a screwdriver/pry tip, micro bit slot, pocket/money clip, bottle opener, and lanyard/key-ring hole have all made their way into this friction folder knife. 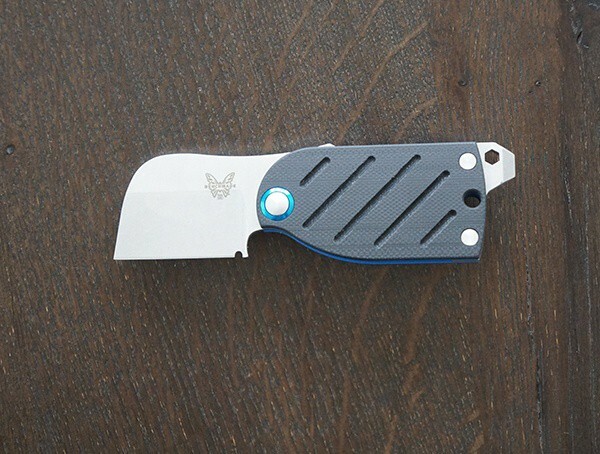 Despite its compact profile at just a mere 4.48” overall length, Benchmade has managed to include a 1.60” Wharncliffe blade. 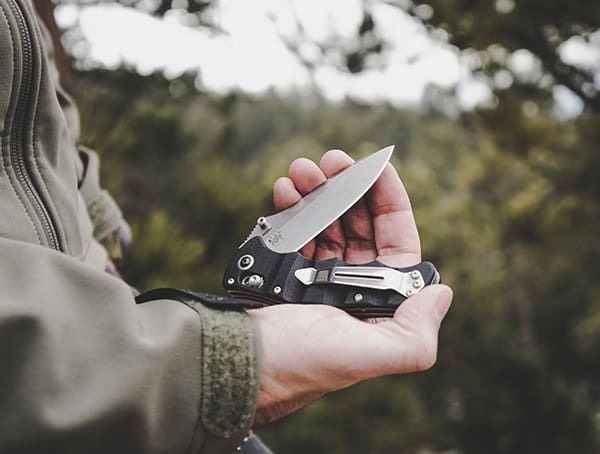 Add in a satin finished CPM-S30V blade material construction (58-60 HRC) and you’ve gone one rock-solid, workhorse of an EDC knife on your hands. 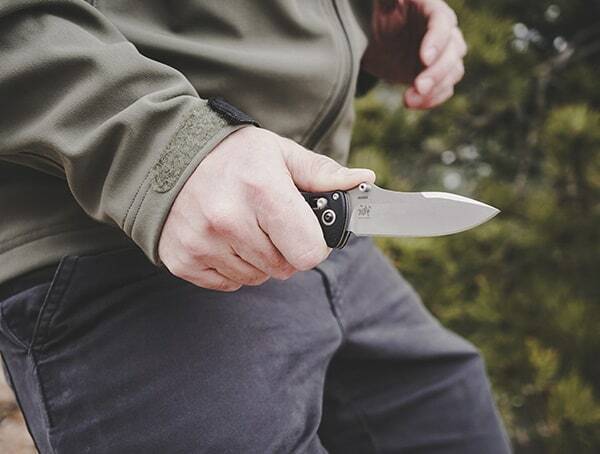 For ease of carrying, you’ll also find an easy to grip (despite its small size) back G10 handle construction. 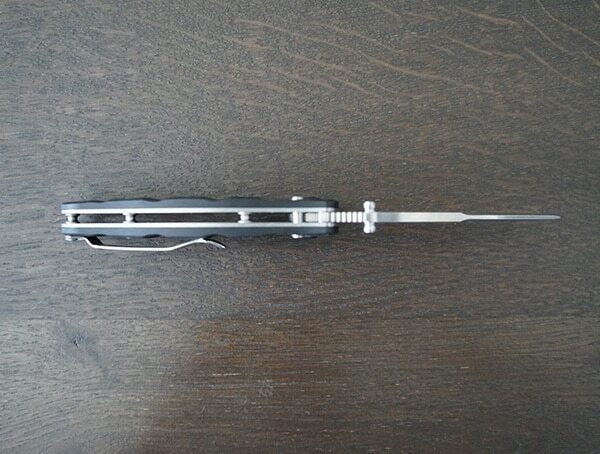 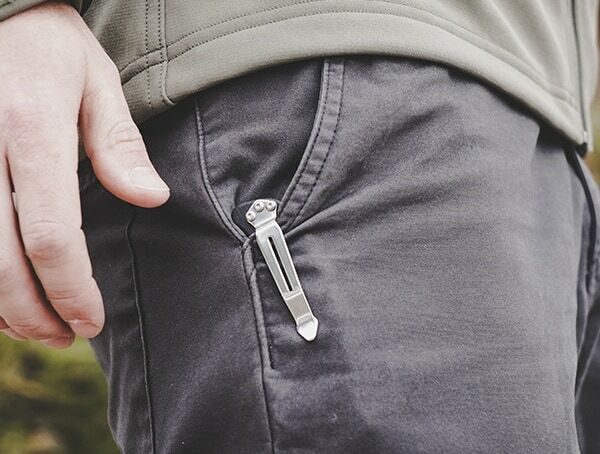 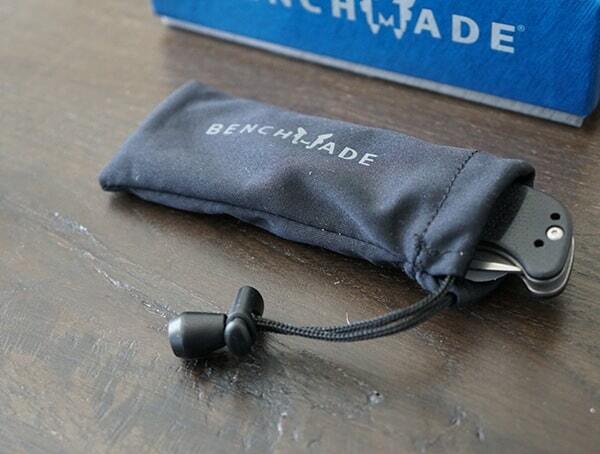 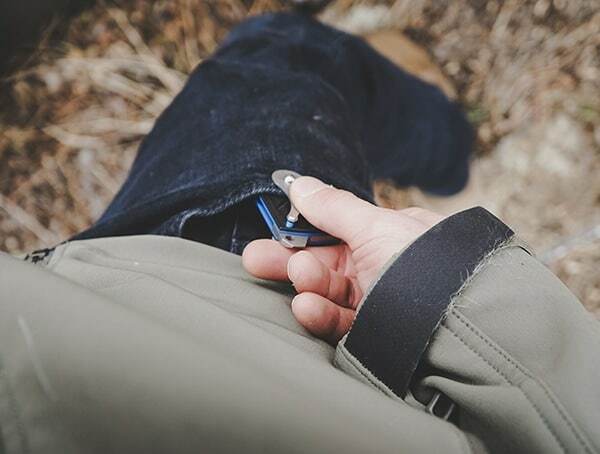 Additionally, the pocket clip is not only reversible but also completely removable should you wish to leave it off. 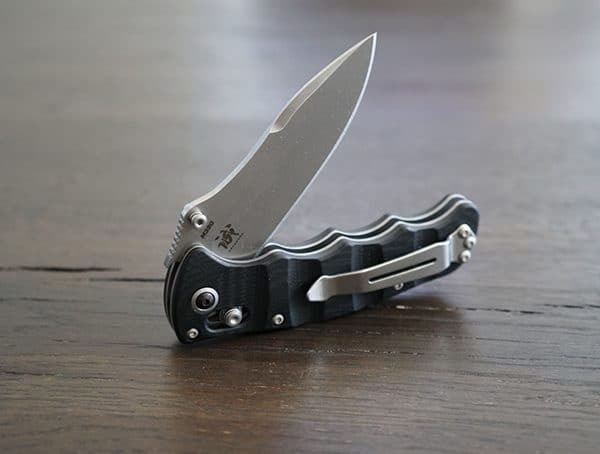 At the heart of it all is Benchmade’s patent-pending friction folding mechanism, which I found to perform beautifully well. 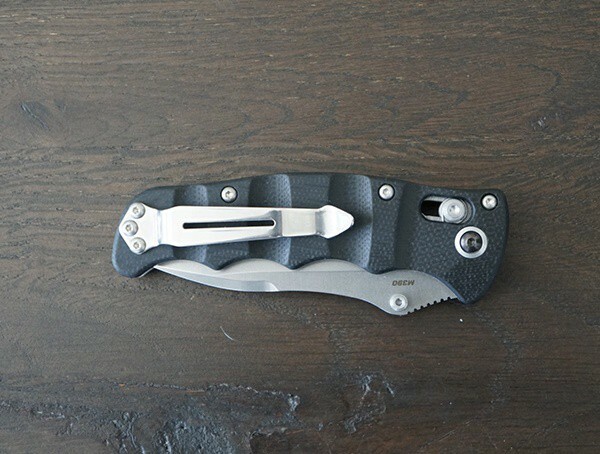 Overall, I couldn’t be happier carrying about the Benchmade 380 Aller friction folder knife. 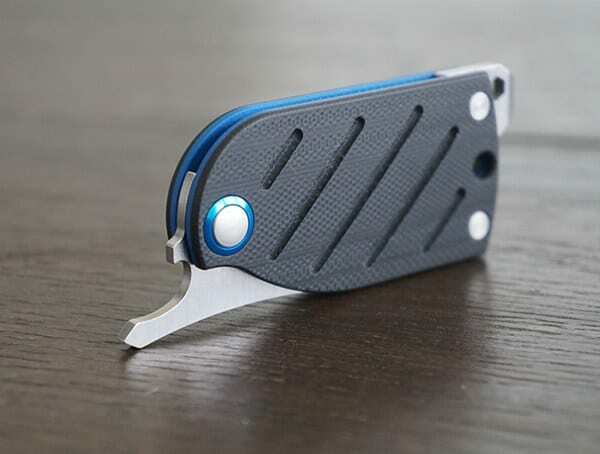 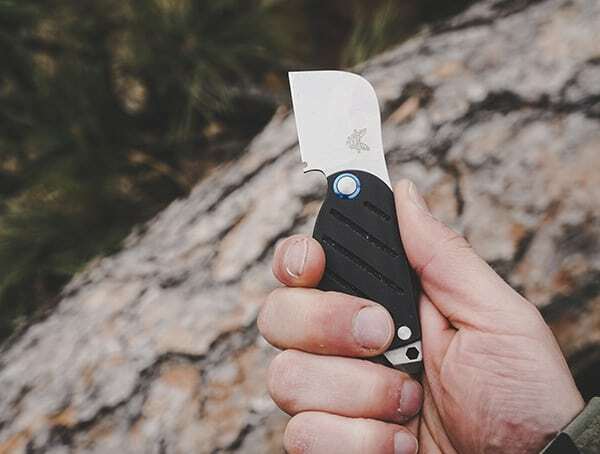 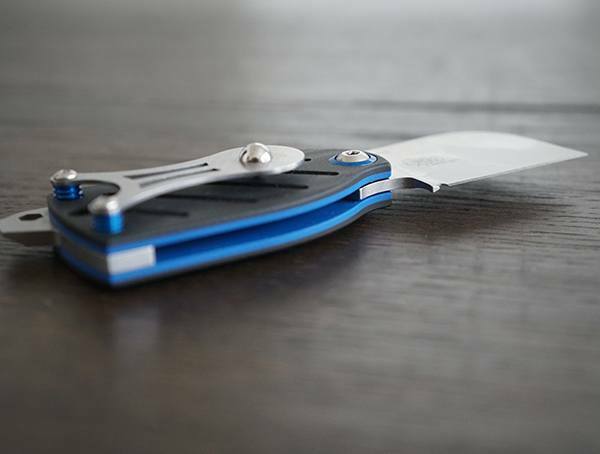 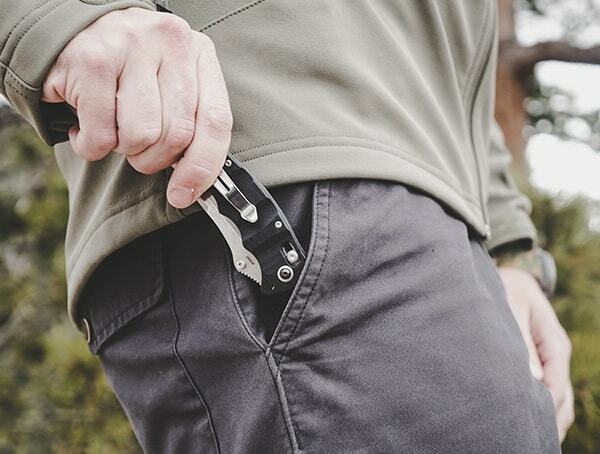 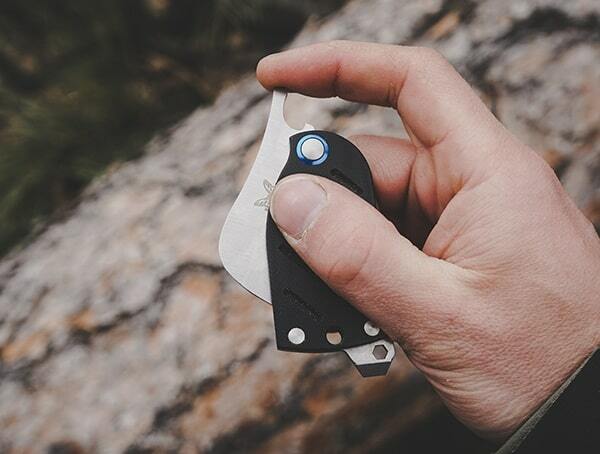 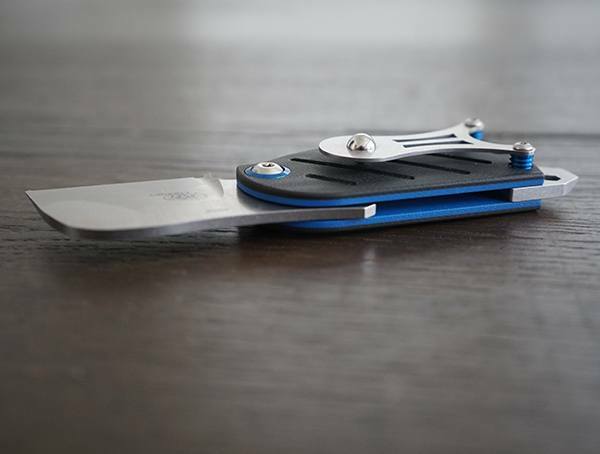 The compact profile is perfect; the blade offers exceptional edge retention, the friction folding mechanism is impressive, and to top it all off there are six tools included. 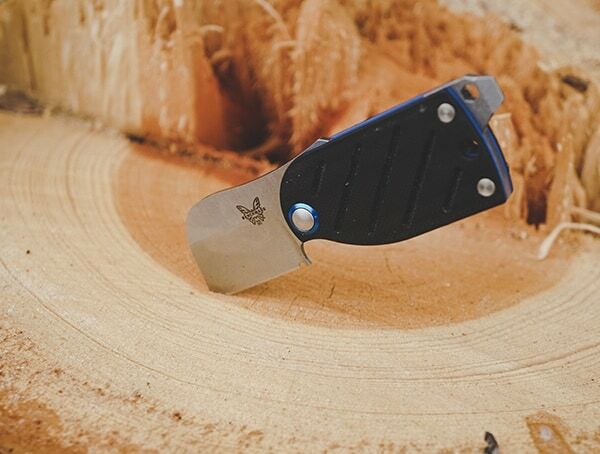 For those who want an excellent EDC knife with plenty of utility yet, without the bulk, the Benchmade 380 Aller is a golden choice.